Photoshop meets Instagram meets Aperture! Uncover the hidden potential in your photos with this powerful photo editor. 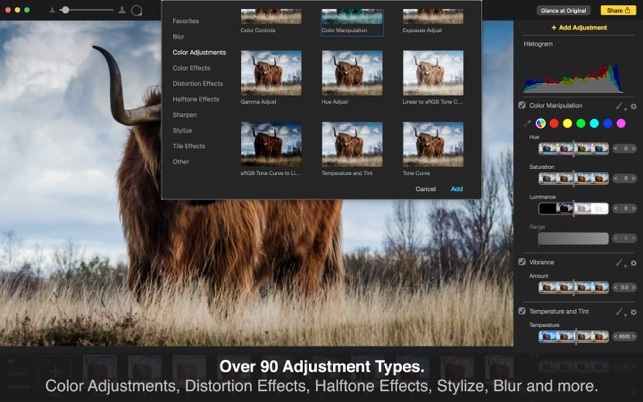 With 100+ effects built-in, over 90 adjustment types to adjust your photos from color manipulation to gamma and tone curve adjustments, our editing tools give users the ability to apply an effect or multiple effects to the entire photo. 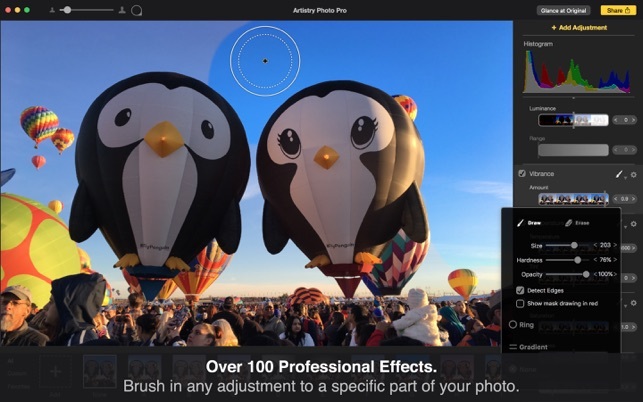 And with our brush feature, users can change just one part of a photo with an adjustment. 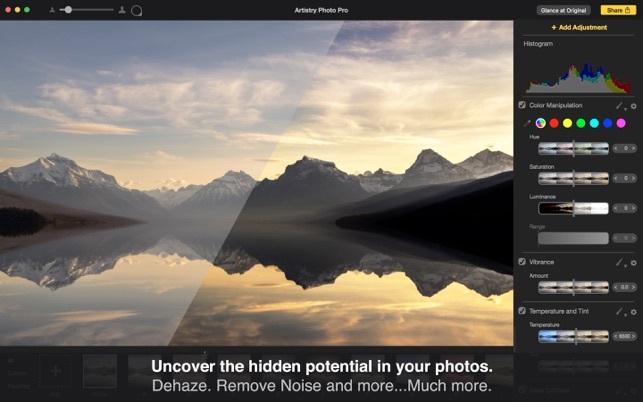 For example, users can easily make the entire sky in their photo become more vibrant. Final images are at the same output quality as Photoshop. Artistry Photo Pro can be used to enhance a professional photographers photos or just yours and my photos. 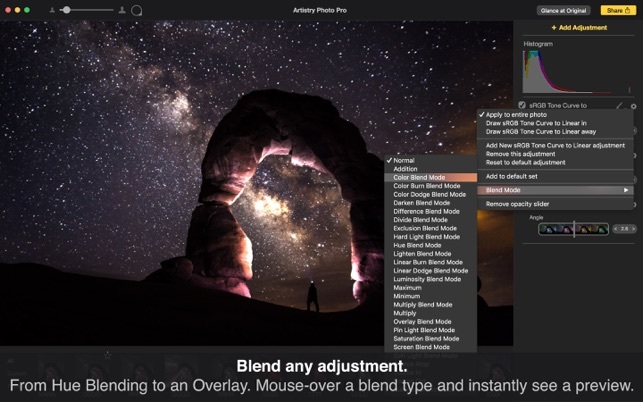 • Over 90 adjustment types from color adjustments and color effects such as color manipulation and gamma controls, to blur, distortion, and stylized effects such as noise reduction, droste and depth of field. When adding an adjustment, place your mouse over each adjustment to get a preview of what that adjustment will do to your photo. See a full list of the built-in adjustments below. • Brush in or out any adjustment to a particular part of the photo with Photoshop quality edge detection. • Zoom Loupe to view your photos at high resolution and zoom into a particular part of the photo to view micro adjustments. 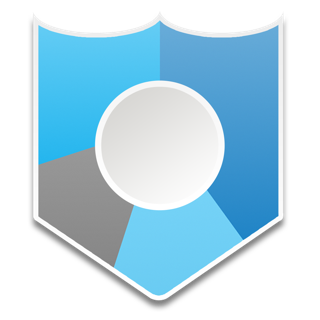 • Easily share photos in every way from TIFF to JPG to Facebook/Twitter and email. • Share custom created effects with others. Soviel sei gesagt: Auf macOS Sierra funktioniert die app und stürzt nicht ab. Sie wird ja eigentlich als Instagram Spaß-app beworben und das ist sie wohl auch. Schön wäre irgendwann einmal eine deutsche Lokalisierung. Die App kann auch über „öffnen mit…“ RAW Dateien von meiner EOS öffnen, das kann man vieleicht noch etwas optimieren und komfortabler machen. Ich würde eigentlich 3,5 Sterne vergeben, „Ganz nett“ trifft es aber gut. Wertlos: Läuft nicht unter macOS Mojave. Egal welches Bild ich versuche zu öffnen, stürzt dieses Programm sofort ab. Sie lässt sich unter macOS Mojave also derzeit überhaupt nicht ein einziges mal benutzen. Wertlos.